Today, 60 girls at Achievers learnt to code during the tech needs girls event organized by Soronko Solutions. 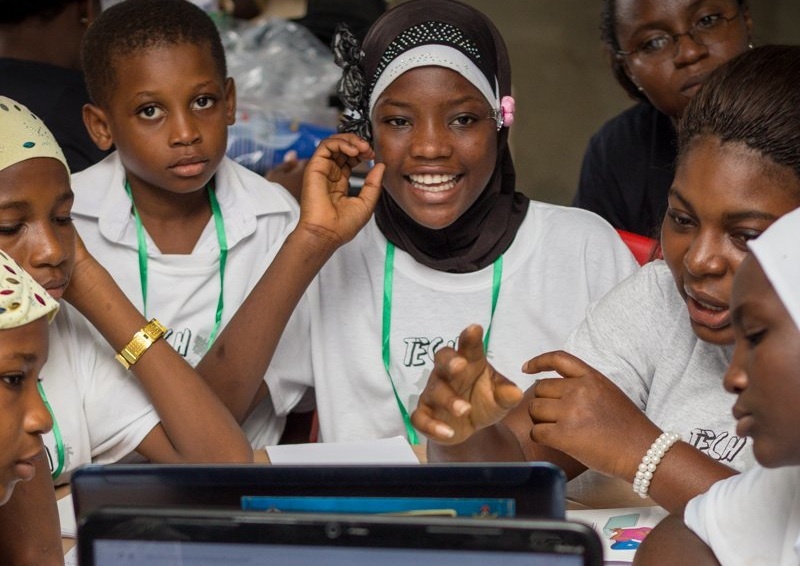 The goal of tech needs girls (founded by Regina Agyare) is to empower girls through coding. The girls enjoyed an interactive and energy driven session with over 10 female mentors teaching them how to design and create simple websites using HTLM. They also worked on their public speaking skills as they presented their websites to a panel of judges. Regina, Soronko Solutions and all tech needs girls mentors, we really appreciate this opportunity and look forward to learning to code more in the coming months. This entry was posted in Uncategorized and tagged learning to code, Regina Agyare, Soronko solutions, tech needs girls. Bookmark the permalink.